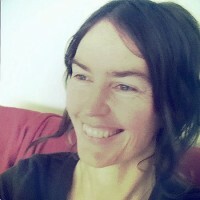 A staunch believer in museums as radically democratic spaces for communal reflection, Cath received her PhD in informal museum learning from Australian National University in 2001. Since then she has worked in web and education teams at the National Archives of Australia, the National Museum of Australia, and the National Portrait Gallery of Australia. Her writings on dialogic learning in museum space have been occasionally published, but mostly her intellectual passions are channeled into Sembl, a game of resemblance.